Owning and running a boat is expensive enough, without the additional costs of storing it. Exorbitant marina mooring fees or the pain of dry boat storage options make you wonder if boat ownership is really worthwhile. At Spacer, we work hard to make boat ownership easier. We specialise in finding boat storage sites near and around the harbour entry points, with good access and cleaning wash bays for you to store your boat. There are a variety of boat storage options advertised on Spacer ranging from garages, backyards and even driveways. Use our Spacer Storage Butler service to log your boat storage requirements and preferences and we will match you with a suitable site near the water. Even if you don’t live near the water, your boat can! We even have boat storage facilities near Sydney Harbour. Check out our many boat storage options in your desired location right across Australia. As we are surrounded by the ocean, boating is a popular activity in Australia. On the east is the Indian ocean and on the west is the Pacific ocean. Australia has kilometres of glorious beaches, sparkling seas, clean rivers and lakes just perfect for water activities such as swimming, surfing, wakeboarding and many more. This country is a boating paradise. Whether you are simply marveling the beauty and uniqueness of the Australian landscape, water-skiing, or bringing the family on a fishing trip, there is indeed a boat for everyone. As boats offer an assortment of functions such as a form of transportation across Australia, fun recreational activity and even accommodation, boating has become hugely popular. Thousands of boats set sail every weekend. For some, boating is not just an easy and fun hobbie but a door to a whole new world of opportunities. There are hundreds of boating locations around Australia just waiting to be explored. Three of Australia’s major cities are coastal, namely, Sydney, Melbourne and Brisbane. Whether you’re into sailing, slow cruising, fishing or adrenaline-rush water sports, the Australian coast allows for a huge range of activities. The most populous state, New South Wales is bordered by Queensland to its north and Victoria to the south. They are connected by the Great Dividing Range, which spans across the three states and parallels the coastline and includes the Snowy Mountains, the Southern Tablelands and some very high peaks, the most famous being Mt Kosciuszko. Along with these high peaks, there is also many forests and walking trails that locals and tourists enjoy all year round, as well as an abundance of beautiful waters that locals and visitors alike enjoy. 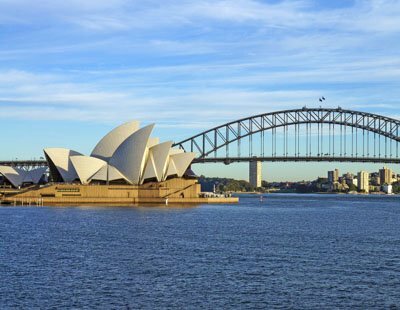 One of the most popular waters in Australia is the Sydney Harbour. The Sydney Harbour is an eclectic mix of busy commercial fairways for freight and passenger traffic and a playground for recreational boats of all types. Alongside the busy wharf are harbourside cafes, bars and restaurants. There’s a number of boat ramps around its foreshores and marinas. Home to the start of the world-renowned Sydney to Hobart Yacht Race, there are a large number of sailing events on the waterway every week. 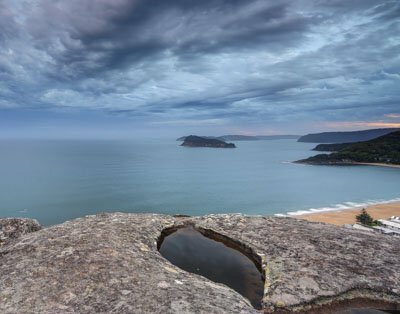 Broken Bay and the Hawkesbury River system is rich with native forests and national parks adjoining deep, sheltered cruising grounds. There are a number of safe anchorages throughout the Hawkesbury River and the adjoining Cowan Creek system. Some marinas here are world-class. It is a boater's paradise that can explore as much as they want yet still find something new and exciting every time. The waters in Sydney are blessed with mulloway, bream and bass from September to May whilst Australian salmon and yellowtail kingfish are abundant all throughout the year. A drive about 20 minutes off New England Highway at Scone takes you to the massive earthen wall that holds 750 litres of water covering 2600 hectares. There’s more than enough room for laid-back sailors to peacefully coexist with wakeboarders and skiers, giving Lake Glenbawn the nickname ‘Dr Jekyll and Mr Hyde’. More than 120,000 people visit Lake Glenbawn each year. There are two boat ramp areas here. It is also an ideal barbecue/picnic location, a caravan park, camping area and is perfect for catching Australian bass, golden perch, Murray cod and catfish. 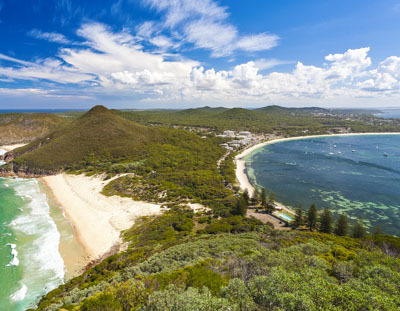 Thirty minutes drive north of Newcastle will take you to a natural boating heaven called Port Stephens. A place where islands, headlands, currents and remote seamounts meet the complex networks of interlinked coastal lakes and rivers. It has the perfect spot to catch mahi mahi, snappers and billfish. There is a vast coastal lake systems, surrounded by swans and forest in the middle of the Myall Lakes National Park. The Port Stephens-Great Lakes Marine Park is extremely boat-friendly, with abundant ramps, moorings and parking, a brilliant marina and plenty of hire boats and marine businesses. There are many boating opportunities at the Lower Illawara. These include the crown jewel, Jervis Bay, with its 15km long and 10km wide white sands and stunningly clear water, Shoalhaven River, prime fishing for bream, bass and mulloway and the most productive recreational fishing haven in New South Wales known as St Georges Basin. Clarence River, home to the biggest wild Australian bass in the country, is 115km by water from the ocean to the first rapids followed by another 200km to its source on the Queensland border. There are 30m deep holes amid the gorges and cliffs. Even ocean-going yachts can cruise from the ocean ports of Yamba and Iluka up to the city of Grafton. Victoria may be smaller in size compared to other states but it is a great place to go boating. There are an amazing amount of river systems to explore, the most well known being the Murray River system and a lot of bays and ports that are lovely for a day out on the water. Melbourne, situated on Australia’s largest bay called Port Phillip, has over 30 yacht clubs and marinas, a number of launching ramps and countless piers and beaches. Boating opportunities abound from sailing, to cruising, to various water activities. Rivers including the Yarra, Maribyrnong and Werribee, all accessible by boat from Port Phillip and provide facilities for boaters to enjoy. Western Port is the second largest bay in Victoria. The major marinas are located at Hastings, Yaringa and Newhaven. Boat launching facilities are located at Stony Point, Blind Bight, Corinella, Hastings, etc. with a dozen or so other yacht clubs located throughout the bay. Port Phillip and Western Port are both popular fishing locations with species of fish including flathead, King George whiting, bream, flounder, and Australian salmon. The Gippsland Lakes system is one of Australia’s largest tidal waterways. It is a boating haven for everything from small sail to large cruisers and even canoes and kayaks. There are countless beautiful destinations within these sheltered waters and commercial hubs as well. Public jetties, casual and long-term berthing and moorings are also available throughout the lakes. Victoria is also rich with some sensational freshwater boating destinations like Lake Eildon. Lake Eildon, a vast inland waterway situated approximately 140 km northeast of Melbourne, is home to over 700 houseboats that are well serviced with fuel facilities. 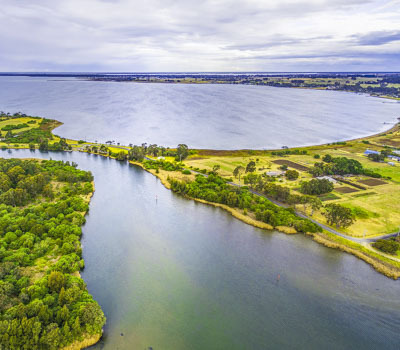 Lake Eppalock, on the other hand, is approximately 120 km north of Melbourne with over 30 boating clubs, nine boat ramps, four caravan and holiday parks and numerous camping and picnic grounds. 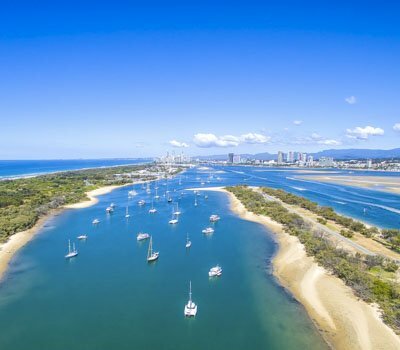 Queensland is blessed with myriad waterways suited to boating, a consequence of its vast coastline. The Whitsunday Islands is without a doubt one of the prettiest places in the country with more than 150 islands and islets such as Whitehaven Beach, Airlie Beach, and Hamilton Island. The place is surrounded by brilliant turquoise-coloured waters, pristine silica sand and a number of excellent all-round anchorages. The Great Sandy Strait is a sheltered waterway that provides excellent protection from the season’s prevailing winds. Here, you’ll find Hervey Bay, Platypus Bay and Fraser Islands, world-renowned for the Kingfisher Bay resort, where boaters are more than welcome. It boasts fantastic scenery as a backdrop to an abundance of sheltered fishing spots. The Great Sandy Strait has more to offer from whale watching, to recreational fishing to a relaxing cruise. 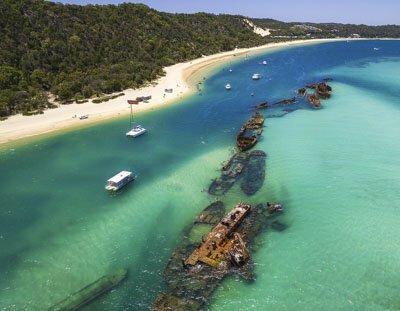 Magnificent anchorages can be found off the eastern side of Moreton Island such as the famous Tangalooma Wrecks, Lucinda Bay, Sand Hills and Days Gutter. To the east is the historic islands of St Helena, Green, North Stradbroke and Peel. North Stradbroke Island, One Mile, and Horseshoe Bay are quiet anchorages, peaceful and tranquil. Moreton Bay is Australia’s best keep secret when it comes to boating grounds. Australia provides many of the essential services for boaters and travellers. There are shopping areas that are always available and plenty of dining and entertainment options, a true boaters playground. Whilst regular boat maintenance can be as easy as washing it with freshwater after every use, keeping a boat up and running in the long term can still be a very expensive task. When you are not on the water, storage can add to the pile high cost of having your own boat. Find less-expensive boat storage alternatives here at Spacer.